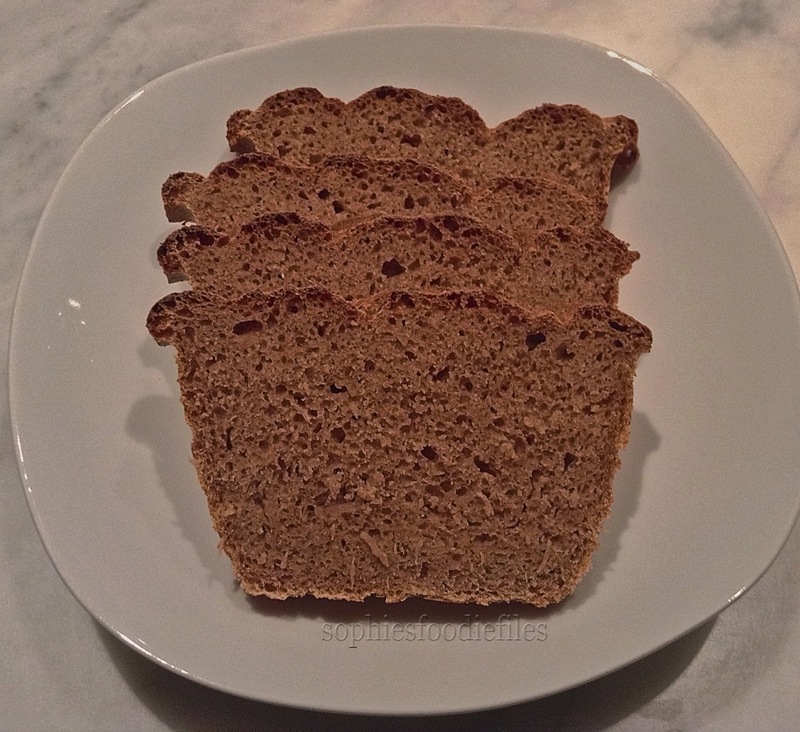 Wholewheat, Spelt Rye Sourdough Bread: Do you want a slice? Yesterday, I invented & made this glorious delicious whole-wheat, spelt rye sourdough bread! And what a beauty it is: 906 gr! See hee some yummy slices with their air holes: all whole-wheat flours , you know!!! Look at those air bubbles: all whole-wheat sourdough! 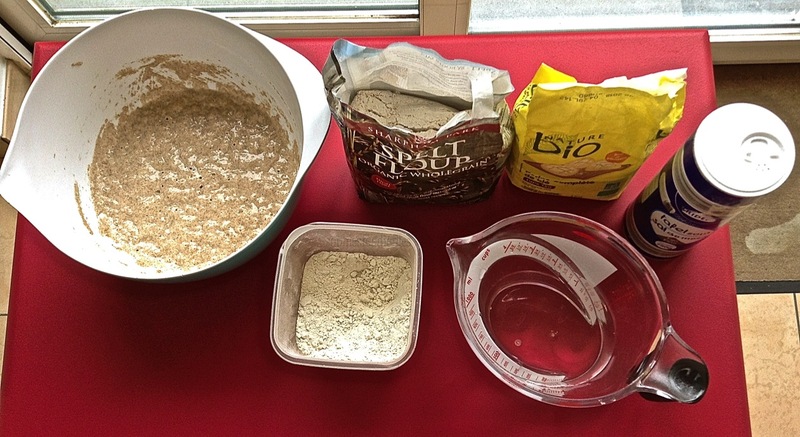 Day 1: start 1 day in advance in making your rye sourdough starter. Take your Kenwood machine & place the dough hook in. In the bowl below ad all ingredients. Mix on medium-speed to high-speed for about 5 minutes. Flour your kitchen counter a bit with rye flour but do not add too much flour!!!! Take dough out of bowl, with help of a dough scraper & knead for 1 minute extra. Oil a bowl & add dough in it. It will be sticky. Place a closed plastic bag over it & place into a warm place to double in size. This took my dough 2 hours. With help of dough scraper, take risen dough out of the bowl. Knock back the air for 1 minute or so & form into a long shape fitted for your silicon bread tin. 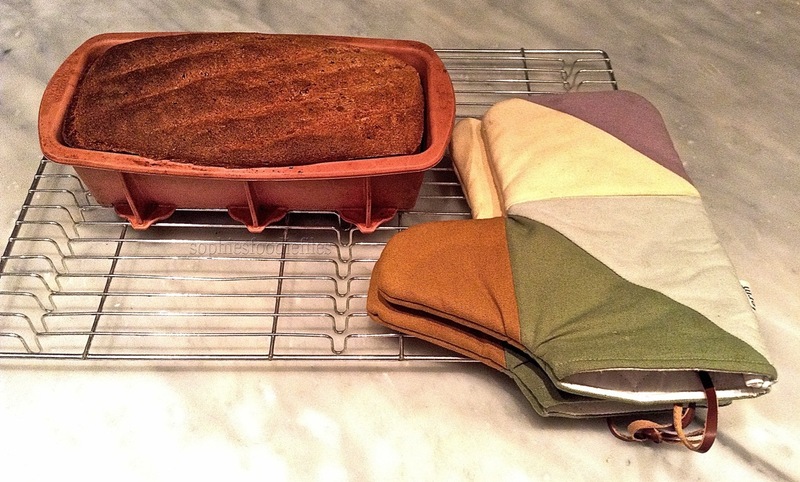 You see my silicon bread tin in the 1st photo! 🙂 Place in here, close plastic bag & let it rise again for about 2 hours or until well risen. I work with a fan oven. So, I preheated it to 200°C (400 F) for 10 minutes. If you have a normal oven, use it at 220°C!! (428 F) I also added an empty ceramic dish onto an oven rack. After 10 minutes in the hot oven, it will be really hot & I fill it with just boiled water. On the rack below, I place the risen dough in the silicon tin. I just slice the top a few times with a sharp bread knife. Place it on the lowest oven rack & quickly, close the oven door. Bake your bread for about 40 minutes & do not open the oven door because of the created steam!!! Test after 40 minutes, to see if it is baked through. My bread was risen, brown & came loose itself from the silicon bread tin. Place onto a wire rack to cool down completely. Slice, smear with butter or margarine, top with whatever you like & eat & repeat! 🙂 Ha! Store in a cotton bread bag! MMM! Previous Post I am now on Instagram & some other news,…!!! Next Post Kok au vin, Bruges! Yum! It’s a pretty shape too. Sophie– you are such an amazing bread baker!! I think Belgium in general just has better bread available than we do– but yours always looks so wholesome and delicious!! Wish this loaf was sitting on our counter! hugs hugs! I am just a beginner you know, Rhonda! 🙂 I try to make it fun in my kitchen! 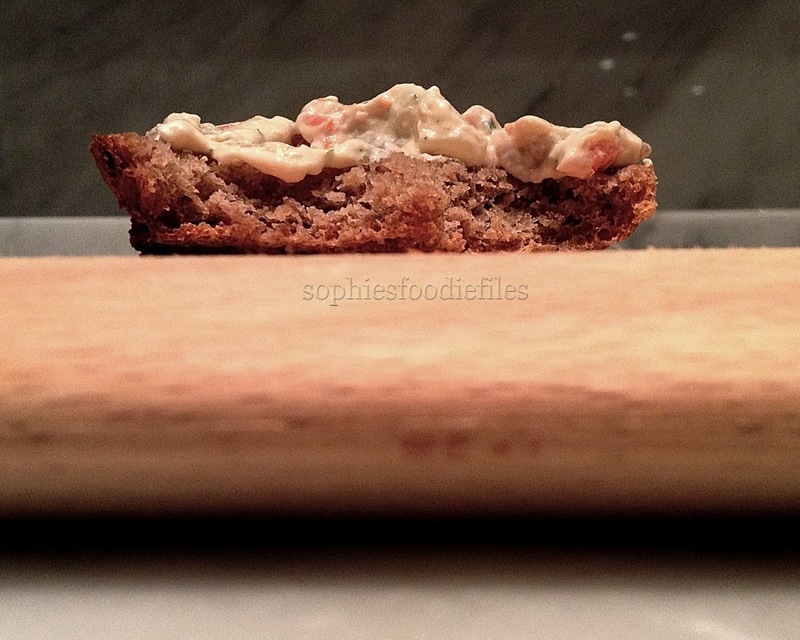 You’ve made some beautiful hearty breads Sophie– I’d come to you “bakery” any day! hugs blog-friend!